Ignite your kindergartener’s love of adventure and learning with an imaginary trip under the sea. 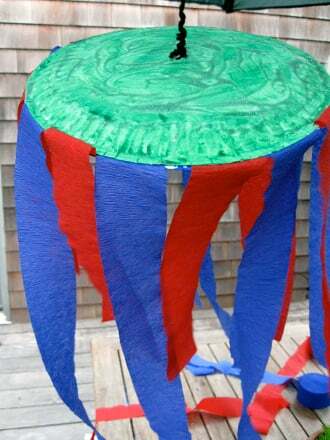 Use a couple of paper plates and basic art supplies to create a whimsical submarine window. The view from the window is completely up to your little one’s imagination. 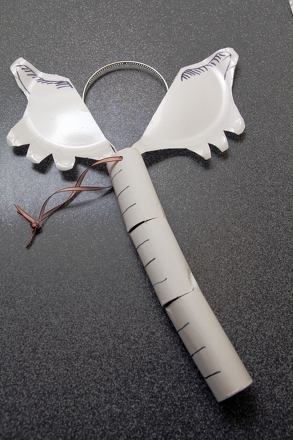 Help your kindergartener cut out the middle of one paper plate, leaving the outer rim intact. Draw a circle on the plastic laminate that is about one inch larger than the circle you just cut from the first paper plate. 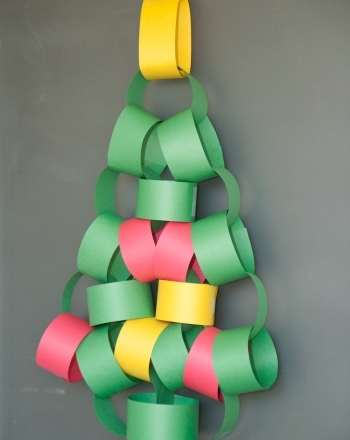 Help your child glue the laminate to the rim of the cut paper plate, creating a window. 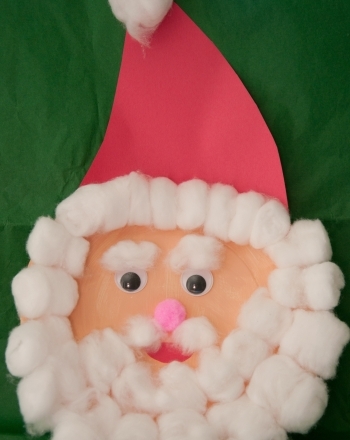 Let your child decorate the front of the second paper plate with crayons, stickers, or collage materials. Look at books or pictures of different ocean animals and scenes. What might your child observe if he looked out the window of a real submarine? Use blue watercolor paint or dilute blue tempera paint with water to create a thin “wash.” Let your kindergartener brush the paint over his picture to create the illusion of water. When both plates are dry, help your child staple the plates together along the outside edges. Position the plates so they are flush, with a pocket of space between them. Submarines are pretty amazing because they can submerge underwater. How would the view differ on a submarine window than say, your bedroom window? Talk to your child about the differences between land and ocean animals. Extend this project by making a sorting book. Take a file folder and label one side “ocean animals” and the other side “land animals.” Look through magazines and cut out different animal pictures. Help your child sort the animal pictures and glue them to the file folder. 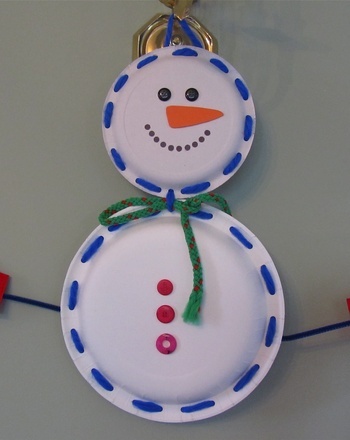 Your child will "build" a snowman and lace her way around the paper plates, boosting her manual dexterity and hand-eye coordination. 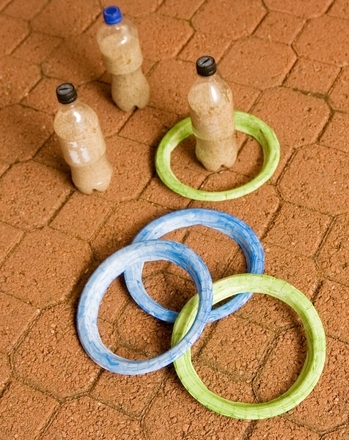 Make rings out of paper plates and you're ready to play anytime, anywhere! Make a paper plate jellyfish and help your kindergartener practise her small motor skills and learn about the creatures of the sea in a creative and fun way! 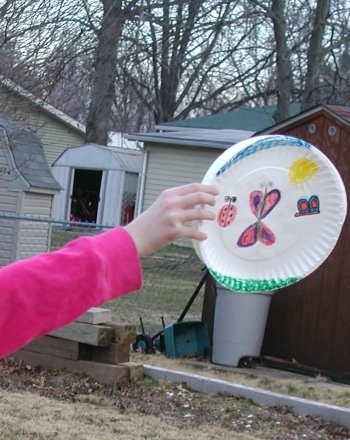 Have your child create and decorate a paper plate frisbee that will keep her occupied for hours on end. Make a paper doll nurse by coloring in and cutting out the image of the nurse and her uniform. It's fun and easy! Celebrate Read Across America with a Dr. Seuss-themed craft: make a paper plate elephant ears costume modeled after Horton from Horton Hears a Who! 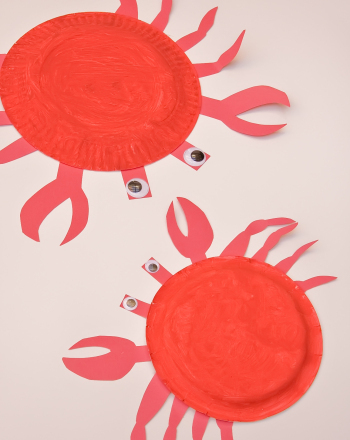 Your kindergartener will have a blast developing his fine motor skills and working on shape recognition with this bright and cheery crab decoration.